Our very easy to use Margarita machines make perfect frozen drinks without any downtime or re-freezing for additional mixes. We carry top of the line Crathco model 3311 and Taylor model 430 Margarita Machines with many features. Contact us for information about Renting or Buying our machines. Indicator Light – add mix light alerts the operator to add mix when the refrigerated storage hopper is low. Freezing cylinder automatically refills from refrigerated storage hopper, no need to wait for product to refreeze after refilling. Reliable mechanical consistency control dispenses perfect product under all operating conditions. Compact machine with more than double the output capacity of visual freezers (“Two Flavor” slushy machine). Oversize drive motor, rugged belt drive and heavy duty components keep freezers running when you need them most. 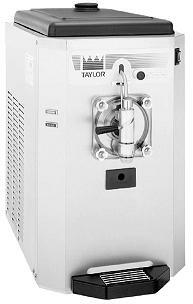 The margarita machine Crathco 3311 and Taylor 430 are very user friendly and will easily freeze alcohol beverages (margarita, daiquiris, etc.). They will also freeze non-alcohol beverages twice as fast. Additionally, if you have ever had a bad experience with frozen drink machines that over-freeze, spit, splatter or shake violently when low on fluid, you can be confident that Margarita Adventures machines have none of these problems — Guaranteed. Lucas, Rockwall, The Colony and Wylie Texas.